There are two Junior Suites and these are extremely spacious with the bedroom area covering 45m². One is King or Twin bedded while the other boasts a four poster bed. They are front facing bedrooms and benefit from the fantastic vistas over the local countryside. These extremely spacious rooms benefit from a turreted section which allows for an extra seating area which comprises a comfortable sofa, two armchairs and large round centre table. 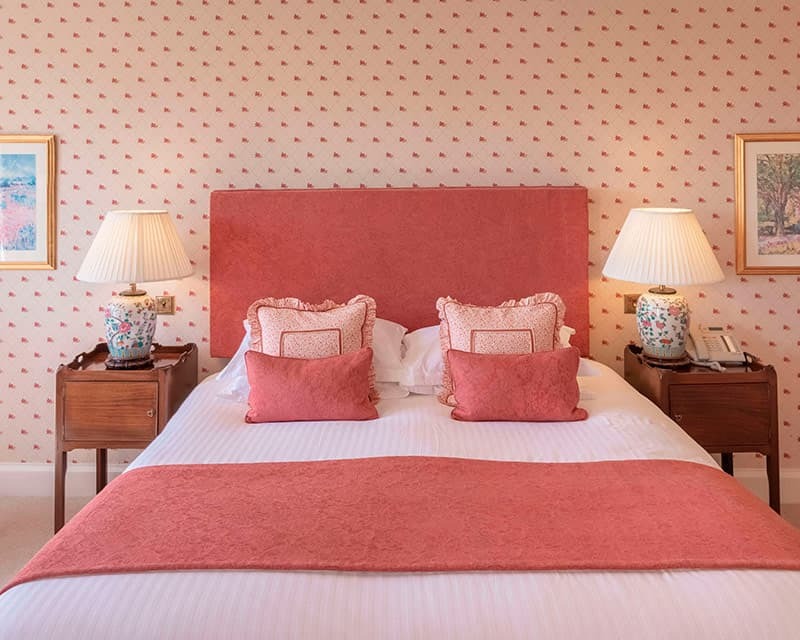 Our junior suites are tastefully decorated in a traditional style and the facilities include direct dial telephones, flat screen Sony televisions, hairdryer and trouser press. The bathrooms are spacious with lots of mirrors and have heated towel rail, full size bath, towelling bathrobes, soft fluffy towels and luxury Arran Aromatic toiletries.